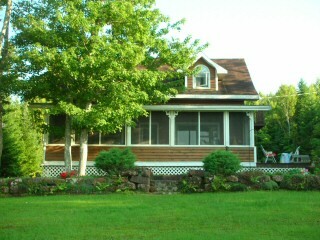 "Featured in Canadian Home and Country Magazine"
Waterfront, secluded cottages located in Eastern Prince Edward Island. Enjoy the unique character and charm of our cottages. The Sand Dollar Cottage is tastefully decorated with a nautical theme. 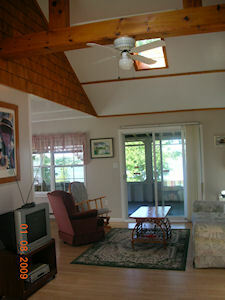 The Blue Heron Cottage is a bright spacious open concept design with cathedral ceiling. 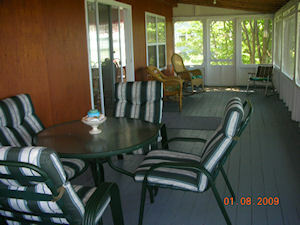 Each cottage features a screened verandah and open deck. 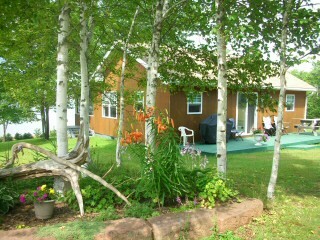 We are minutes away from golf, deep-sea fishing, lobster suppers, local ceilidhs and provincial parks. If you would like more information, please visit our web site at www.sunsetcottages.ca.